Learning in, through, and about the arts stimulates creative action and response by engaging and connecting thinking, imagination, senses, and feelings. By participating in the arts, students’ personal well-being is enhanced. As students express and interpret ideas within creative, aesthetic, and technological frameworks, their confidence to take risks is increased. Specialist studies enable students to contribute their vision, abilities, and energies to arts initiatives and creative industries. In the arts, students learn to work both independently and collaboratively to construct meanings, produce works, and respond to and value others’ contributions. They learn to use imagination to engage with unexpected outcomes and to explore multiple solutions. Arts education values young children’s experiences and builds on these with increasing sophistication and complexity as their knowledge and skills develop. Through the use of creative and intuitive thought and action, learners in the arts are able to view their world from new perspectives. 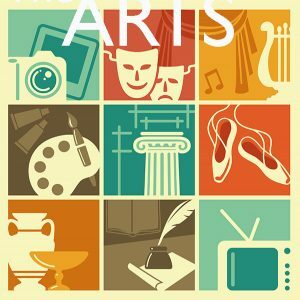 Through the development of arts literacies, students, as creators, presenters, viewers, and listeners, are able to participate in, interpret, value, and enjoy the arts throughout their lives. Sound from natural, acoustic, and digital environments is the source material for expressive ideas in music. These ideas are manipulated and extended into forms, genres, and styles that are recognised as music. Music is a fundamental form of expression, both personal and cultural. Value is placed upon the musical heritages of New Zealand’s diverse cultures, including traditional and contemporary Maori musical arts. By making, sharing, and responding to music, students contribute to the cultural life of their schools, whanau, peer groups, and communities. As they engage with and develop knowledge and deeper understandings of music, they draw on cultural practices and on histories, theories, structures, technologies, and personal experiences. Through engaging in the visual arts, students learn how to discern, participate in, and celebrate their own and others’ visual worlds. Visual arts learning begins with children’s curiosity and delight in their senses and stories and extends to communication of complex ideas and concepts. An understanding of Maori visual culture is achieved through exploration of Maori contexts. The arts of European, Pasifika, Asian, and other cultures add significant dimensions to New Zealand visual culture.